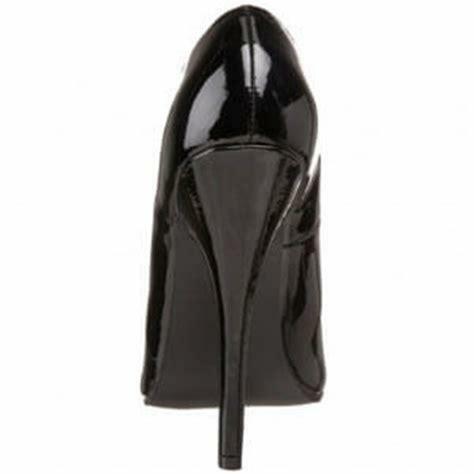 Black patent peep toe court shoes from Pleaser with stiletto heels. 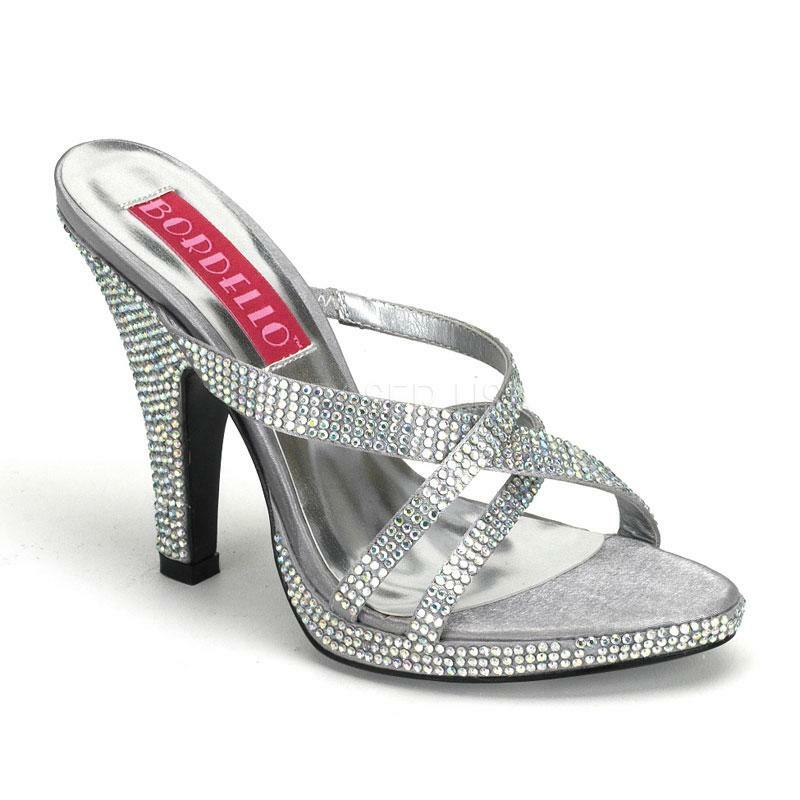 Single flat sole and 6 inch heels. 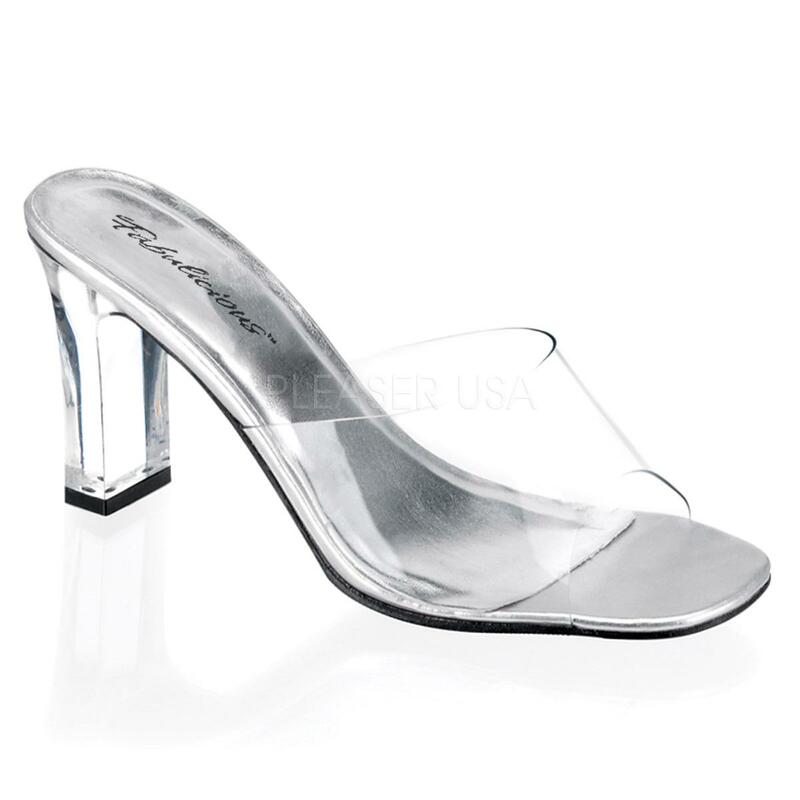 Stylish Open Toe Shoes from Pleaser. Available in shiny black patent.